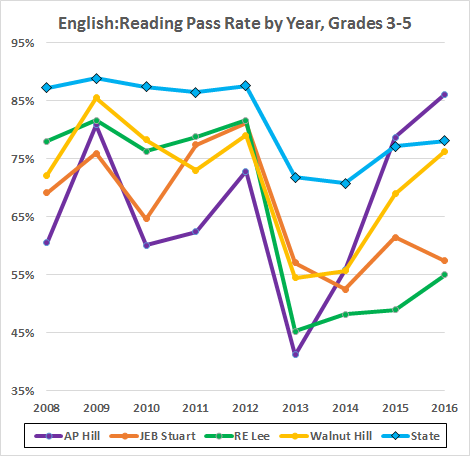 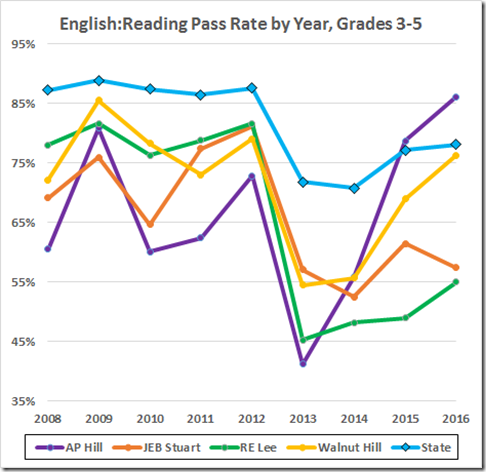 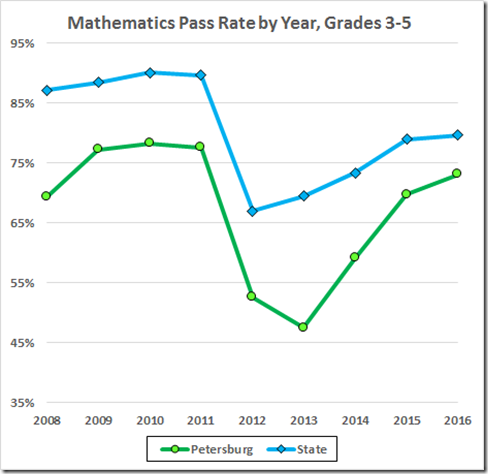 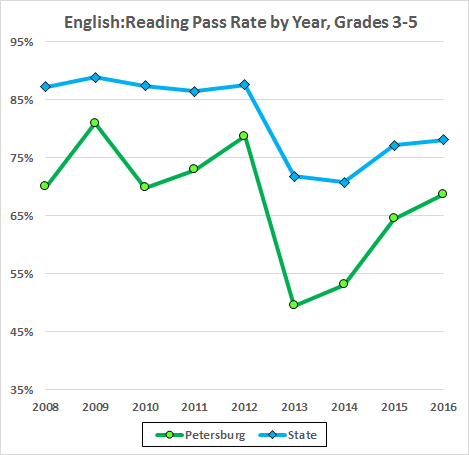 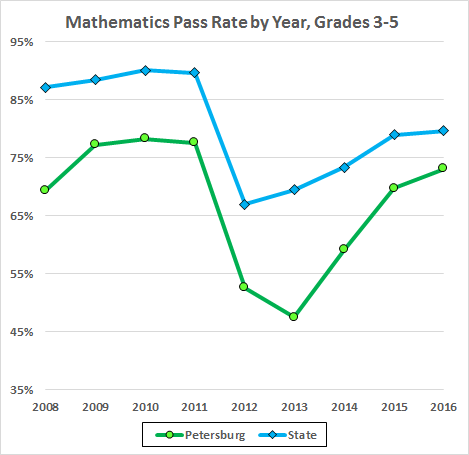 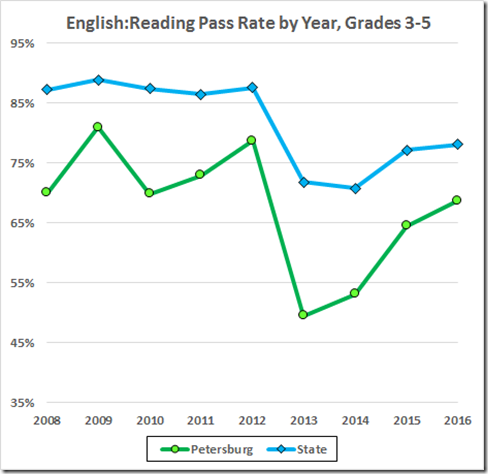 We have seen recent improvement in the overall pass rates of the Petersburg elementary schools, with AP Hill and Walnut Hill being accredited this year. Indeed, the Hills (AP and Walnut) have improved nicely. 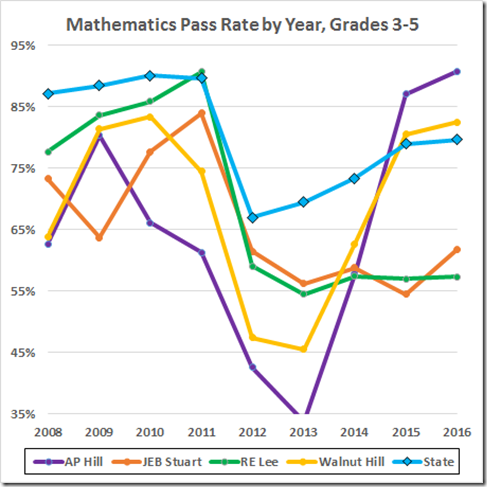 But twelve years of “help” from the Board of Education have left Stuart and Lee mired in failure.